Photographer for a wedding in Grand Hotel, Giessbach. It had to rain but it didn’t dampen our spirits. Simon and Nurcan are not professional models. However, after some posing tips, they very quickly forgot about me and posed naturally. 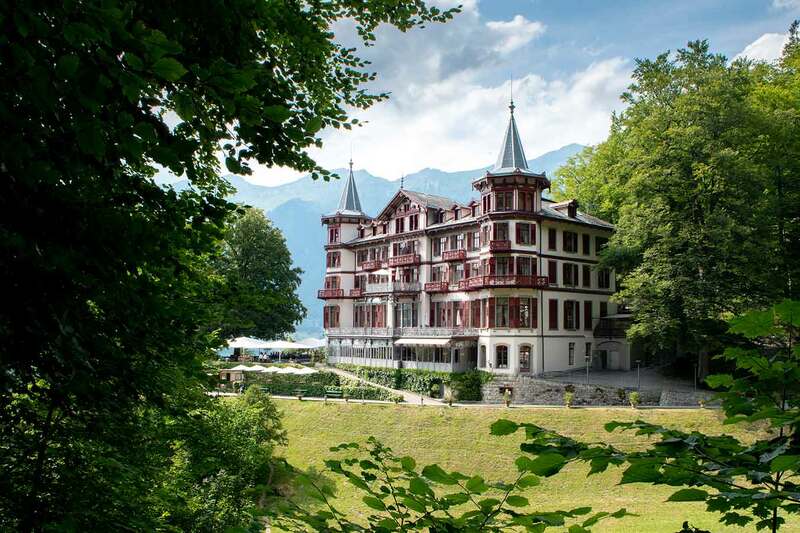 The Grand Hotel Giessbach is near Brienz, Switzerland It’s a twenty minute drive from Interlaken. Or you can take a ship on Brienz Lake (Brienzersee) to this Swiss Historic Hotel. In Switzerland you have to be married by an official at a civil ceremony in the official ceremony room. 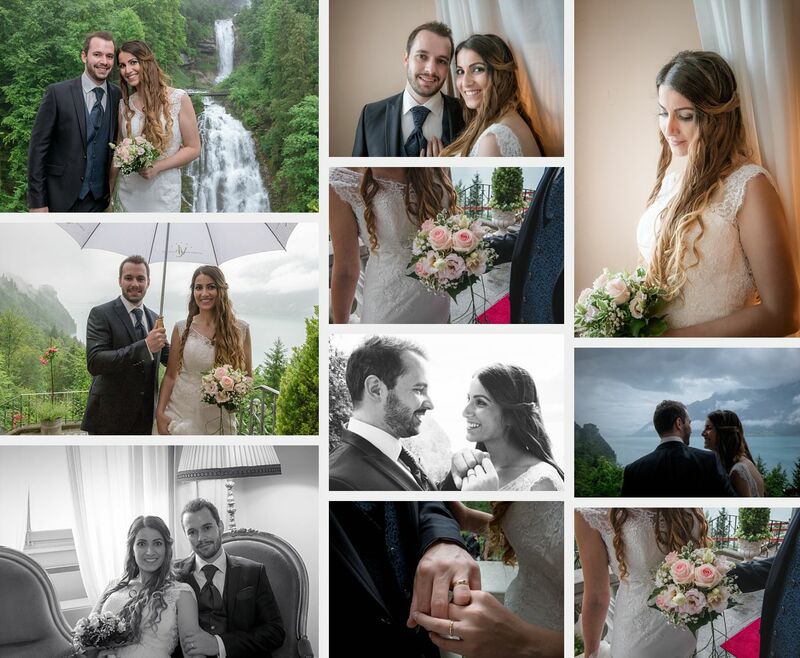 Once a month it is possible to be married in the Grand Hotel, Giessbach. It’s very popular and the 4 wedding spots are quickly booked.